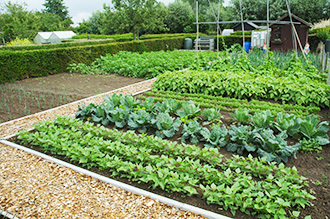 Tuinhier is the Flemish regional allotment garden organisation and has approximately 22,000 affiliated members. Its aim consists in the creation of allotment garden parks. Following the French example, the « ligue du coin de terre et du foyer » was founded in 1896; In Flanders it was called « Het werk van den Akker en den Haard ». The federation was a national organisation administrating the most of the allotment gardens in Belgium. 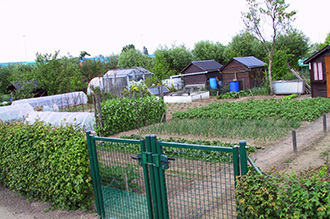 Its first (relatively small) allotment site was situated in the Brussels commune of Saint-Josse-ten-Noode. This project was a success; in the project approximately forty connected gardens were created. The initiative was imitated very quickly in other towns. In addition to Namur, Ghent and Anvers other small towns as for example Gistel, Termonde and Saint Nicolas, posted already a local organisation of allotment gardens in 1907. 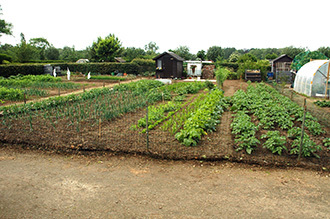 In Belgium most of the allotment gardens were created by local private initiatives. The authorities never created allotment gardens. Nevertheless, a number of eminent Catholics played an important role in the movement. Auguste Beernaert, former prime minister, was the first president of the allotment garden federation. 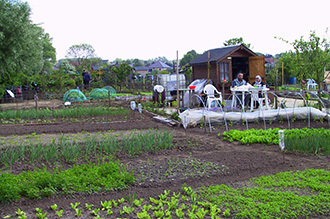 These allotment gardens were generally situated close to important factories. The allotments were a means to protect the workers from the bad influences of urban live: alcohol, moral decline, family violence. In town the inhabitants who originated from rural areas lost their contact with the traditional values. The danger of abuse of alcohol was real. A small garden was as far as this problem is concerned a preventive tool. Additionally, these gardens meant as well more or less an economic independence. The harvest was an agreeable surplus and was even often necessary for the family budget. The number of the members of the allotment federation was extraordinary high during the two World wars. 180.000 in 1918 and even 400.000 in 1943. The reason of this increase was the fact that the government made a call to the association for food rationing. Since 1920 members owning an own garden were also welcome. In 1930 following the stimulation of Jules Callens – the monthly review "De Volkstuin" was edited for the first time. 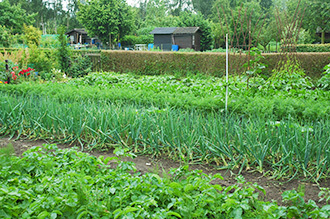 The review aimed at the individual allotment gardener and gave advice concerning the cultivation of vegetables. This review still exists today under the new name « Tuinhier magazine ». In 1980 the organisation was split in an Dutch speaking organisation and a French speaking organisation. The Dutch organisation changed its name and was called up to 2014 « De Vlaamse Volkstuin". After 2014 the organisation is now officially called "Tuinhier".